The Drainage Basin as a System Unit. 2. Formation of Channel Networks. 3. Systems of Stream Classification. 4. Drainage Basin Area. 5. Perimeter of Drainage Basins. 6. Basin Shape. 7. River Length. 8. Stream and Drainage Densities. 9. Vertical Distances. 10. Slope. 11. Hypsometric Curves and Longitudinal Stream Profiles. 12. Relationships between Morphometrical and Hydrological Features. 13. Morphometrical Models of the Ialomita Basin. 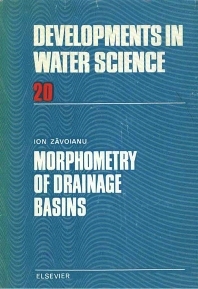 The book describes the drainage basin as a system unit resulting from the interaction between runoff and topography - a lengthy process of evolution that occurs according to well-defined laws. It aims not to quantify the agents which created the present forms, but to analyse the forms themselves in order to establish the laws according to which they develop, and to define a series of inter-relationships between morphometrical parameters and river discharge.